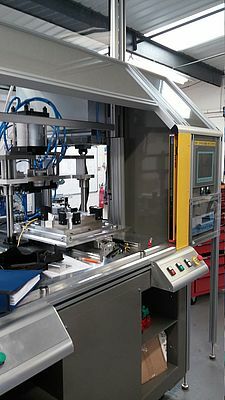 HepcoMotion, specialists in linear motion, have acquired automation specialist Severn Automation. The new operation will trade as HepcoAutomation, retaining Severn's existing staff and premises in Telford, Shropshire. Severn have built up a fine reputation for innovative automation solutions and excellent customer service, not just in the Telford area but across the UK. HepcoMotion have been working closely with Severn for over 18 months. In that time customers have experienced the benefits of the close integration between the two companies. With a flexible approach to solving customers' problems manufacturing organisations will be able to obtain automation systems that provide real value for money. "With our long established experience in linear motion and Severn's undoubted motion control expertise, we will be able to satisfy a much broader range of customers' requirements" says HepcoMotion's Sales Director Christopher Rees. The new operation will have considerably more manufacturing capacity with the ability to utilise Hepco's main manufacturing plant in Tiverton Devon for the construction of certain machine elements. Mark Bragg, previous part owner of Severn Automation will be the General Manager of the new operation and will support the sales effort working closely with Hepco's nationwide network of Sales Engineers. Mark comments: "We are looking forward to an exciting future working as part of Hepco and the possibilities this new venture will bring, the work that Severn Automation undertakes is a perfect match for Hepco and its range of linear products. Now as HepcoAutomation we can now give the customer the option of a complete turnkey solution from design concept to completion."